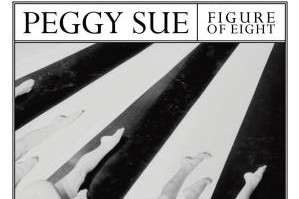 If you’ve heard Peggy Sue before then you’ll know to expect effortless harmonies that swell your heart and guitar riffs that get straight to the point. Not only does their latest single do nothing to disappoint on those fronts, it also demonstrates the on-going development of their sound; a development that I believe/ hope gives an indication of this wonderful band’s longevity. Drummer Ollie Joyce has a great understanding of the importance of Rosa Slade and Katy Young’s dynamic, fitting his beats around them. The added production and instrumentation takes the band further from their past stripped-back, acoustic, sound, but towards a more interesting place musically. They are giving themselves breathing space, and it feels like there’s a newfound confidence in (and assurance of) their ideas. The lyrics are, as always, filled with a blissfully simple poignancy and sung within timeless pop melodies. It just makes me wonder how a band this consistently good goes about choosing which song to use as a single.